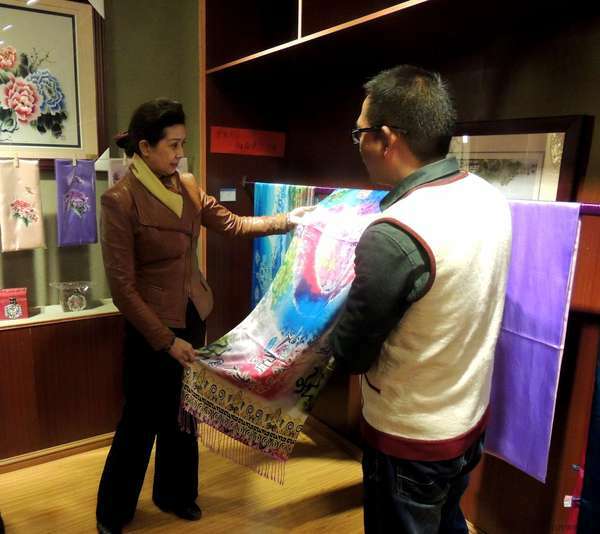 The chairwoman of Yunnan Women’s Federation He Hongmeiaccompanied by Cheng Anrong, the chairwoman of Lijiang Municipal Women’sFederation, He Hongyun, the chairwoman of Yulong County Women’s Federation, thedeputy chairwoman of Yulong County Women’s Federation and other leaders related investigated Baisha Naxi Embroidery Institute on the 1st December,2016.As the chaiwoman of the whole province, she is care of all women's life condition in the whole province.Born in Lijiang as a typical Naxi, she is proud of the ethic culture and the wonderful Embroidery skills. 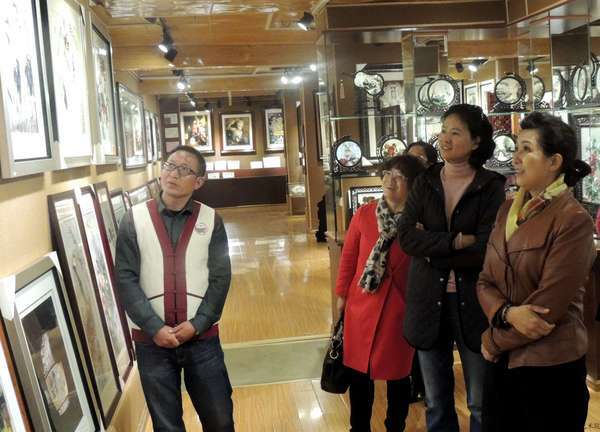 She draw a high praise on the work of Baisha Naxi Embroidery Institute after the investigation. 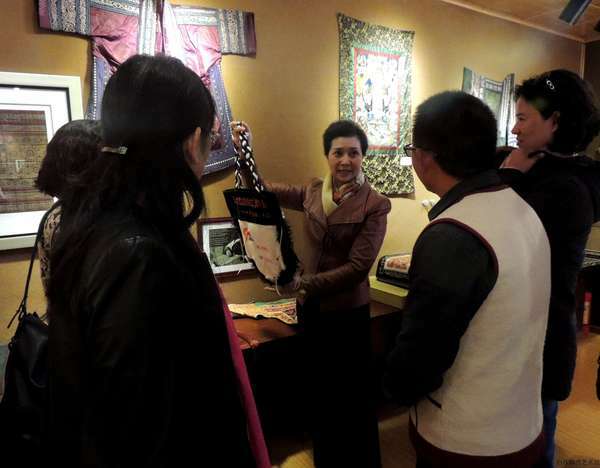 And encourage the Institute to continue on the ethnic embroidery training and culture maintaince. 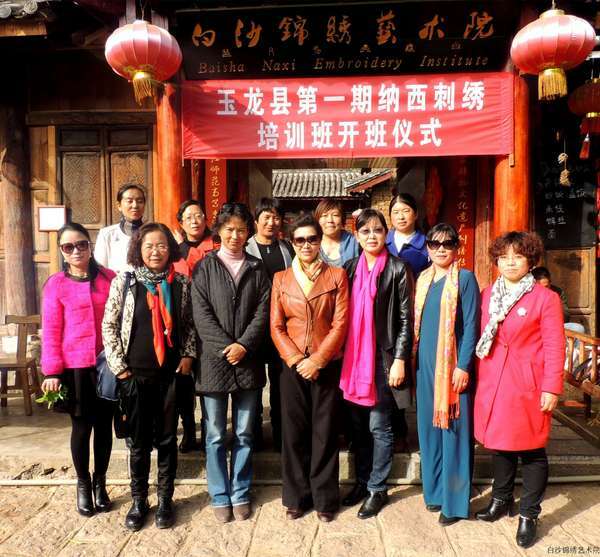 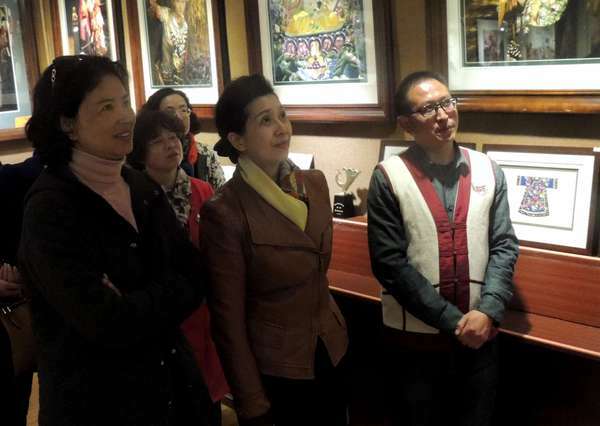 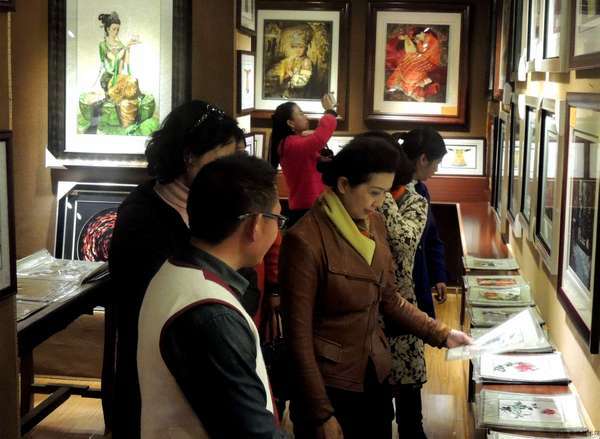 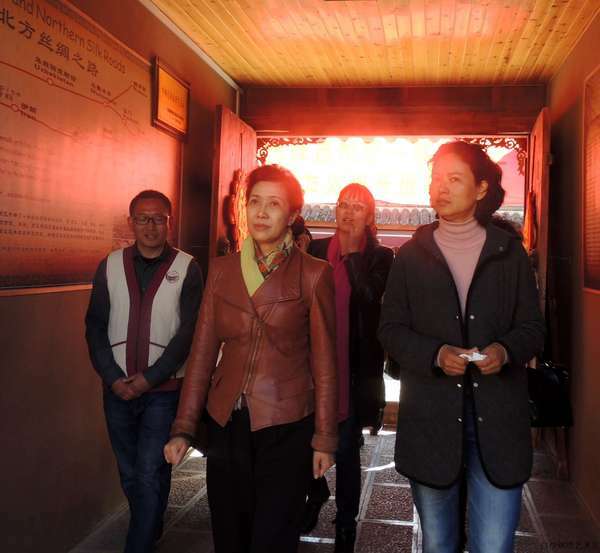 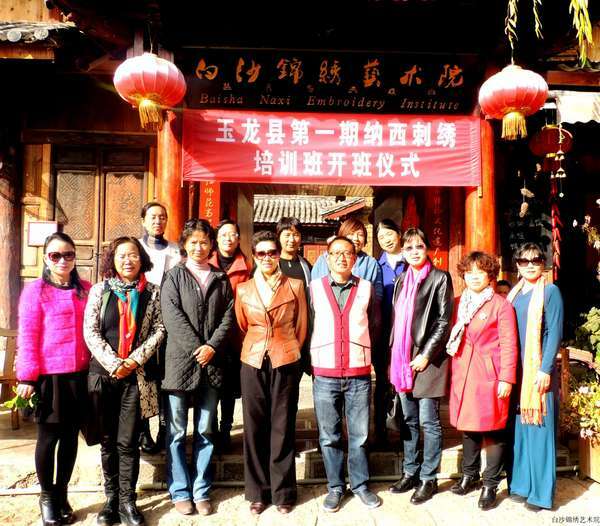 she　encourage the institute to design more works with the ethnic culture.